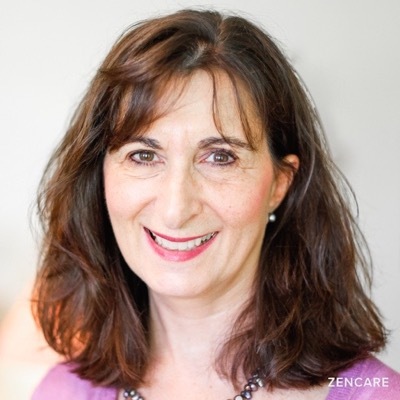 Diane Petrella is a Licensed Independent Clinical Social Worker, life coach, and Reiki healer specializing in weight management, relationships, loss and grief, caregiving, anxiety, and depression. She sees adults and seniors. Diane Petrella is a holistic psychotherapist, certified life coach, and Level II Reiki Healer in Providence, RI. Her mind-body-spirit approach is designed to help clients tap into their inner wisdom, calm anxious and disruptive thoughts, and find peace through connecting with their Higher Self. Diane works with individuals experiencing relationship challenges, such as difficulty starting a new relationship, repeated negative patterns of attraction or communication, and adjusting to life changes after breakups or divorce. She helps clients explore how early experiences influence their beliefs about themselves in order to increase self-confidence and build stronger relationships. Diane has deep expertise in emotional eating, particularly with adults who experienced sexual abuse in childhood, and for whom mainstream weight loss strategies may be less effective. She also works with clients navigating stress, anxiety, depression, grief and loss, and caregiver challenges. Diane incorporates a range of approaches, including psychodynamic therapy, meditation and visualization, life coaching strategies, and the Emotional Freedom Technique (tapping), which releases energy trapped in the body to feel more grounded in body and mind. Diane’s goal is to help clients clear through the clutter of life’s messiest challenges and connect with their highest, best self. Emotional eating – Healthy approaches to losing weight and promoting positive body image; particular expertise in addressing how one's past history of sexual abuse can get in the way of weight loss efforts today. Sliding scale: A sliding scale or reduced rate is offered to clients who need a reduced fee to receive therapy. Therapist's note: Diane can provide you with paperwork for reimbursement from your insurance company if you are seeking out-of-network sessions. "Deciding to see a therapist and looking within takes courage. Congratulate yourself for taking this step. I can help you make lasting change so you not only overcome your current problems but become stronger and wiser on the other side. My approach is holistic, integrating mind, body and spirit. My style is direct (I'll tell you what I think), intuitive (I trust my intuition and will help you trust yours), and with a touch of humor (it always helps to lighten your spirit). There's no "one size fits all" therapy, so together we'll decide what works best for you. I'm a licensed psychotherapist and a certified life coach so I'll integrate both sets of skills in our work together. We'll explore your past when necessary to help you break free from self-sabotaging patterns and limiting beliefs. I'll also help you create a vision for your future so you have a road map to move forward."